I only found out a short while ago that folk have been talking about Anglish, including my own work, at Reddit. It’s not a website I use, so I was unaware. There’s some good talk to be had. Here’s a great prefix: wan-. It is the affixed form of the adjective wane (related to the verb wane). It is “a prefix expressing privation or negation (approximately equivalent to UN- prefix or MIS- prefix)”, so says the OED. It was very common in Old English, but had more-or-less wholly died out by Middle English. I think it’s a great little affix and could be brought back to life as a useful variant to distinguish it from un– and mis– words; perhaps we could use it as a like-for-like (=equivalent) of “anti-“… We might need to say it the stressed way, though: wane. How many words do you think you can make up using this affix? Do people understand you? Here are some great English words that have this prefix — sadly, all of these words are no longer in use. wanhope n, adj, v despair, hopelessness; to despair; despairing. wanspeed n ill-success, adversity, poverty (think speed as in God speed). Why did we ever bother to borrow doubt when we had wantrust and mistrust? We also had twēo and twēogan/twēonian in Old English using the root for “two”, just like in German! So why not even something like “twofulness”? Weird is the original English word for “fate, destiny”, hence the Weird Sisters in Shakespeare. wanworth n, adj a price below the real value, an undervalue, a bargain; a worthless person, a good-for-nothing, a trifle; worthless, unworthy. Now you only have to work out if you say “wan” to rhyme with “can” or “con”. We talk of someone having or needing to get a backbone. This of course means to get a spine. But we don’t just use “backbone” metaphorically; the word “backbone” has meant a literal spine ever since the early 1300s. “Spine” is from the Latin spina. So a plain Saxon English / Anglish alternative for spine is backbone. It then struck me that the backbone itself is actually made of lots of little bones: vertebrae. Each of these is surely a backbone, too. So we have backbones made of backbones? Or perhaps, made of backbonelings… I wasn’t happy with this wordmess. And then I remembered that knuckle doesn’t just mean the finger joint, it also refers to any (particularly knobbly) joint of the body. Thus, your backbone is made up of knuckles; or to be overly clear, back-knuckles. No need to use Latin spine or vertebra or that dodgy outlandish plural –ae. We spend a lot of time talking about Anglish words, but almost no time talking about spellings. The why is that I try to smuggle Anglish in. Non-standard spellings, however, draw attention to themselves. Therefore, I have only touched on spellings briefly (for example, see here). However, 1066 and all that left its mark on our spelling system, too. Many spellings were changed soon after the Conquest as the old English scribe class were killed and slowly dispensed with, Normans taking their place. For example, <cw> was respelt as <qu> on the French model: cwen became quen (now queen) almost overnight. However, other less radical changes have also happened over the years since then. This post looks at these spellings, specifically those changed based on an unright understanding of their origin (?erstspring ?upspring ?first-spring). Before I go on, remember that my notion here at Wrixlings is not to create what might have been had history panned out differently — that is something I call “Modern Old English”. Rather, I try to inliven the Saxon heart our of present speech. Therefore, I do not say we must bring back ash <æ> or yogh, or spell <wh> as <hw> (OE hwearf ‘wharf’) or put an <h> back in words like lord (OE hlaford, would therefore perhaps be hlord if 1066 and all that had not happened). Therefore, I do not respell <qu> as <cw>: the grounds are that everyone can plainly understand <qu> for /kw/ — even tho the spelling is quite absurd, and French. Originally, there were two words: ake (deedwork/verb), ache (nameword/noun), as per speak (workword) and speech (nameword). Eventually, ache fell out of the language in favour of ake for both verbs and nouns (just like we used to say “reek” (deedword) OE reocan and “reech” (nameword) OE riec). However, it was felt by the 1700s that ake probably came from the Greek akhos, and so the spelling was changed accordingly (Greek kh / χ is rendered <ch> in English; see the arch– of words like archaeology, from arkhe / αρχη). Sadly, the word doesn’t come from Greek, but the Old English acan (deedword) and æce (nameword). So let’s spell it AKE. The letter g can “soften” to a “j” sound (or to a “y” sound in Old English: geong ‘young’). The letters <h> and <u> can “stop” it: guest, spaghetti. We don’t say these as “jest” and “spajetty”, do we? But this softening only can happen before e, i, and y. So why is there a <h> in these words before <a> and <o>? Oh yes, because that’s how it’s done in Dutch(! )… How does that make any sense? The first two used to be spelt without the <h>. So let’s spell them AGAST and GASTLY once again. “Gost” might be troublesome as it may imply a rhyme with “lost” — although not needfully; see “host”! It comes from Old English gast; this <a> developed into a ‘long’ o elsewhere too. Sometimes it was spelt like this: OE stan –> ModE “stone”. And other times it was spelt like this: OE bat –> ModE “boat”. So let’s spell it either GOST, GOAST, or GOSTE. I reckon the first two are best. Let’s spell it ANCOR. Mark that “anker” would also clearly word on the grounds of saying (banker, wanker), but not on wordbirth. This word was spelt æx in Old English and ax until around two hundred years ago. It is still spelt ax in the US, Canada, and increasingly now, Australia. The <e> was added for no apparent reason whatsoever. Let’s just bin axe and spell it AX. Old English cruma, þuma and lim. Numb was earlier spelt as nome, from the OE root niman. Never had a <b> sound in there. Although the related words crumble, thimble and nimble do. And then there’s dumb and lamb and comb, which used to be said with a /b/, but no longer are, yet are still spelt with a <b>. What a mess. I suggest taking the <b> out in all cases, etymological and otherwise: CRUM, DUM, LAM, LIM, NUM, THUM. Only keep it where it is pronounced: CRUMBLE, THIMBLE, NIMBLE. Keeping the <b> in some related words but not others may trouble you, but it shouldn’t. For example, we write DECEIT and DECEPTION, not “deceipt”, which is an analogous case. In the case of “comb”, we need to show the way the vowel is said, so as with “ghost” above, we have either COAM or COME. COAME is even possible. Maybe COAM to stop us mixing it up with the verb to come. Island represents Old English igland, from ig ‘isle/island’ + land land. It was thought to come from the Latin insula, hence why folk added the <s>. Although, by that logic (?through-thought) why wasn’t it spelt “insland”? The idea for <s> probably also took hold due to the word isle which actually is ultimately from the Latin insula. However, rather ironically, <s> was often lost from Latin to French (French fenêtre, Latin fenestra) — as it was in ISLE, too! We borrowed the word from French in the late 13th century as ILE. If you want a homeborn word for isle, we do of course have ait and eyot which in some way represent the “i” of island. Influenced by Latine scissor ‘carver, cutter’ and scindere ‘to cut’. The word actually comes from Old English siþe and should be spelled again as once it was: SITHE (as in lithe, writhe, and so on; note: the letter þ is the exact equivalent of <th>). I say this needs to be put back as TUNG. Altho it is true that some Northerners give this a spelling pronunciation of “tong”. Who, whooping cough, and therefore whore, right? Wrong. Actually, in Old English it was hore, and only began to be spelled with a <w> in the early 1500s. Let’s set this straight and bring back HORE. There are many other words we might respell. For example, see our little talk about <u> being changed to <o> as in tongue and come. There are a great deal of words that fit this mould exactly: wonder, monk, wolf, and so on. These could be respelt wunder, munk, wulf (see thunder and sunk). Or another idea: could could be respelt as coud. It comes from can, and was cuðe in Old English, but gained an <l> by analogy with would and should (which come from will and shall, words that DO have an <l>!). But both of these cases, wonder and friends and could, go beyond the bounds of this post. Could is indeed also false etymology, but one based on homeborn not outland words. And the case of wonder and fellows is about wonky former scribal habits — not incorrect etymologising. Maybe we’ll handle those kinds of spelling in another post. AKE, AGAST, ANCOR, AX, COAM, CRUM, DUM, GASTLY, GOAST/GOST, ILAND, ILE, LAM, LIM, NUM, SITHE, THUM, TUNG, HORE. You might wanna check out a similar (but old) post by a fellow Anglisher here: New Spellings. hybrid (noun) c. 1600, “offspring of plants or animals of different variety or species,” from Latin hybrida, variant of ibrida “mongrel,” specifically “offspring of a tame sow and a wild boar,” of unknown origin but probably from Greek and somehow related to hubris. A rare word before the general sense “anything a product of two heterogeneous things” emerged c. 1850. The adjective is attested from 1716. As a noun meaning “automobile powered by an engine that uses both electricity and gasoline,” 2002, short for hybrid vehicle, etc. 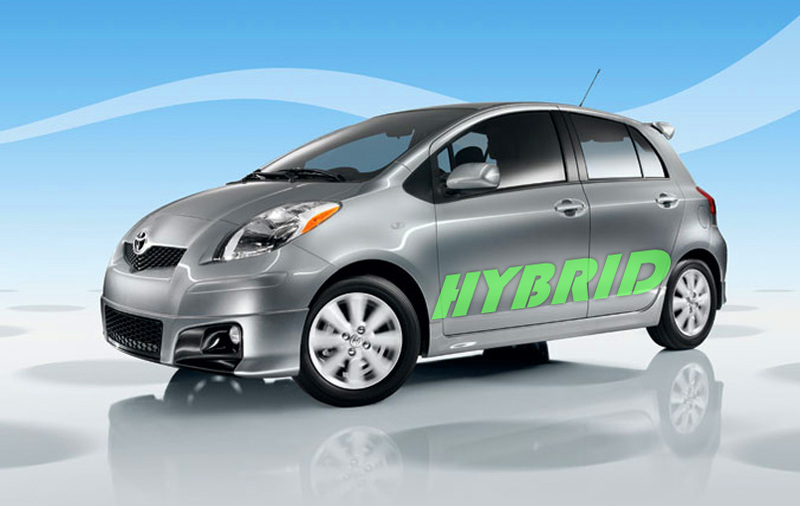 We can see indeed from our day-to-day experience that the words hybrid and hybridize are growing in popularity. But what’s wrong with our own Saxon words for these things? The nameword (noun) is either: cross, crossbreed, or mongrel. I suggest a further word: blendbreed. Obviously, as far as “hybrid” cars go, “cross” is probably the best fit. We might also say half-and-half or half-half cars. And note that mongrel can (but needn’t) have negatives tones, whereas cross and crossbreed are more judgement-free. The deedword (verb) can therefore either be: cross, crossbreed, and blendbreed. Let’s have a workers’ revolution and purge our speech of the word “labo(u)r” and its derivatives, coming as it does from Latin labor. What are the plain, Saxon English alternatives? The meaning of this logo is manifold. Firstly, the name of this blog is Wrixlings, the homeborn English word for “changes”. Changes that were wrought by 1066 and all that and its fallout, and changes that I am making to Modern English in this project. The first letter of the word is “W”, hence the “W” and the wynn in the logo. The “W” is on top, as a crown, as it and everything it stands for has won out over the homeborn wynn. However, wynn still exists there in the logo, at the root, ready to push up and overthrow “W”; overthrowing the kingdom of everything “W” is associated with, and growing a strong English oak from the homeborn roots. The word “logo” is short for “logogram”, meaning ‘a sign or character representing a word’. It comes from the Greek λογος logos ‘word’ and γραμμα gramma ‘character, written thing’. It’s also interesting to note that “logo” is therefore a bishop-shifting of the word “logogram”. So “logo[gram]” is not homeborn English. What could we come up with instead? Well, “logos” is “word”, and “-gram” is a pretty close fit for “token”, which of course means “sign, symbol”. So, I suggest that “logo” could be wordtoken in Saxon English. We could make a portmanteau (?blendword) of this as woken or wooken: wo[rd]+[t]oken. I spoke of how “W” began as a ligature of two “V”s. A ligature is a special joined form of two other letters. Another ligature is Æ. “Ligature” is clearly a Latin word. A ligature is a joined, tied, bound or blended letter. So… Tieletter? Bindletter? Blendletter? I quite like this last one. “Letter” itself is Latin; the ?eremost (original) word in English was bocstæf: “book-staff” (“staff” more as in the thing Gandalf carries — a stave, a stick, a rod — than the employees of a company). We could try to bring back “bookstaff” or “bookstave”, as this word still exists in other Germanic languages: Swedish bokstav, German Buchstabe. But this would probably be a bit too much of a Germanicisation, and not English enough. A “Letter” is literally a symbol, sign or token which stands for a sound or a combination of sounds; so why not soundtoken? Okay, “sound” in this sense is not homeborn, but it’s as good as we’ve got. So… tie/bind/blend+soundtoken. When all’s said and done, and despite it being a mongrel word, I would opt for keeping the word “letter” but ditching “ligature” for blendletter. © Bryan Ashley James Parry, 2012-2018. Unauthorized use and/or duplication of this material without express and written permission from this blog’s author and/or owner is strictly prohibited. Excerpts and links may be used, provided that full and clear credit is given to Bryan Ashley James Parry and Wrixlings with appropriate and specific direction to the original content.